After more than 40 years of designing, building, debugging and simulating electronics hardware I know that getting a circuit to work in simulation is not the same thing as having it work in reality. 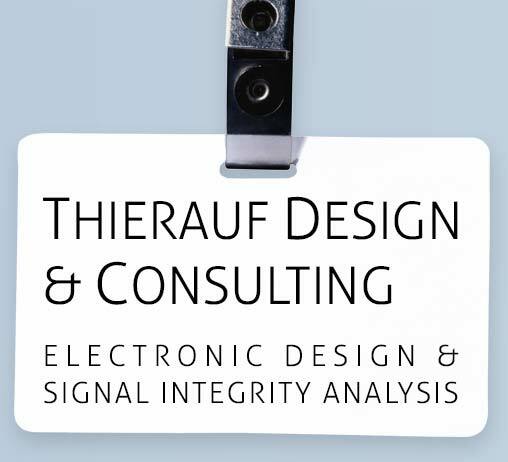 My background includes custom chip design, signal integrity simulation and analysis, circuit board design and hardware debug work using high-performance test equipment including oscilloscopes, comm analyzers, VNA's, TDR's, BERT testers and RF test equipment including spectrum analyzers, antenna analyzers and power meters. I’ve held senior technical positions at Digital Equipment Corporation, Compaq Computer and Infiniswitch, where I developed high performance I/O circuits (including SerDes), designed dense, high-speed backplanes, performed signal integrity and power integrity on high performance circuit boards, and developed in house test equipment. I researched lossy transmission lines as a Visiting Scholar at Northeastern University in Boston. I’ve authored four signal integrity books, co-authored a chapter in "Design of High-Performance Microprocessor Circuits" regarding I/O and ESD design, and co-authored 5 journal articles regarding microprocessor design.